The Sunday after Easter found the saints in Crafton Heights trying to do the same thing that the first followers of Jesus did: explore the process growing from being merely “disciples” (students) who were a step behind Jesus for three years to being “apostles” (those who are sent) carrying the Good News of the reign of God into the world. Our scriptural basis was Acts 4, selected verses. 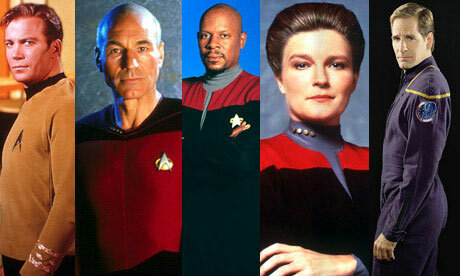 Who was the best captain of the USS Enterprise? Are you a fan of Captain Kirk? Or do you go with Jean-Luc Picard? Which Star Trek is your favorite? The original? The Next Generation? Deep Space Nine? Voyager? Enterprise? I’m thinking about spin-offs this morning. In television, a spin-off is defined as a series in which some characters, setting, or ideas have come from an existing show. We met Dr. Frasier Crane on Cheers, but he had a much deeper character after he moved out to Seattle with his own show. The Oprah Show has spawned Dr. Oz and Rachael Ray, and just think about all the different Law and Order or CSI programming that fills the airwaves. 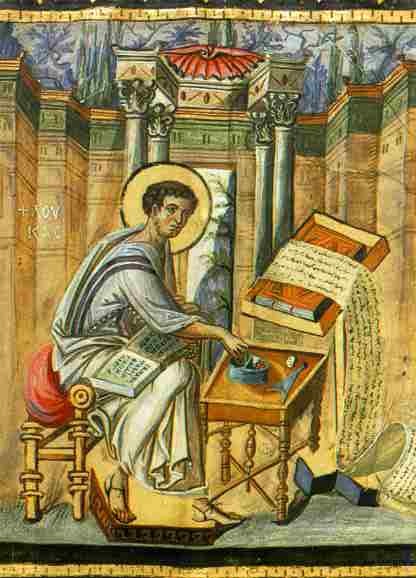 St. Luke, as seen by an unknown artist. This week, we’re going to begin looking at certain aspects of a sequel that we find in the Bible. Our New Testament contains a two-volume set that features an exploration of who Jesus was and the effect he had on his world. We know volume I as the Gospel of Luke, and it introduces us to Jesus of Nazareth: his birth, life, ministry, death, and resurrection. The same author wrote volume II: the book of Acts, a spin-off that focuses on the ways that the Holy Spirit moves in and through the community that came together after Jesus left this earth. Like any good spin-off, much of the story line remains the same. Many of the characters and settings look familiar. But just as The Jeffersons moved on and up from Archie Bunker’s All in the Family, there are some significant differences in the plot lines and character development between Luke and Acts. There are two differences that strike me especially this morning. First, when Luke’s gospel tells us about the people who associated with Jesus, they are usually called “disciples”. The Greek word for that, mathetes, most often means “learner” or “apprentice”. But when the action shifts over into the book of Acts, these same people are called “apostles”. An apostle does not merely follow along, like a disciple, but is sent out on a specific task, or with a message. Something happened that caused a change in the ways that these men and women saw themselves and were viewed by the world – there was a deepening of character, an enlargement of mission, and a heightening of responsibilities. 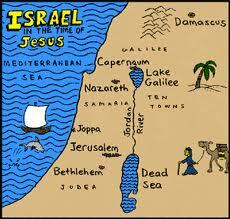 It’s only about 90 miles from Capernaum to Jerusalem. And the other thing worth noting this morning is that all of the action in Volume I (Luke’s gospel) takes place in Galilee or Jerusalem. Jesus and the disciples lived and worked and taught in a fairly small area of a rather remote part of the world. 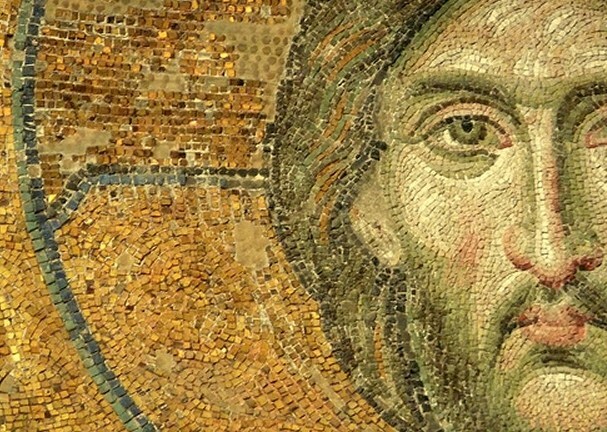 By the end of the fourth century, the Gospel had spread through much of the known world. And yet the book of Acts describes a group of apostles who travel the entire Roman Empire as they seek to carry out their calling. The Gospel shows us the church in training, and Acts shows us the church on the move. The lynchpin in this, of course, is the crucifixion and resurrection of Jesus. That is, I believe, the seminal weekend in human history – and it changed reality for the disciples and the rest of us. I am fascinated by the shift from disciple to apostle, and for the next few weeks we will be considering the characteristics of this community that grows among and around these early Christians. How are they transformed from a frightened group of tentative followers and learners to being self-assured, confident agents of the risen Christ? What changes them from a group of deniers and betrayers to a community that was known for its willingness to die not only for its convictions and beliefs, but for each other? I believe that much of the groundwork for this change took place in the time between the first Easter and the festival of Pentecost, which was seven weeks afterwards. We will mark “the birthday of the church” on Pentecost Sunday, June 8, this year, and between now and then, we’ll look at the places that the early church went and consider how they were able to grow into the ministry that Jesus gave to them. Today, we find the apostles in Jerusalem, just a few months after the resurrection of Jesus. Peter and John have emerged as the public “face” of the Jesus movement, and they are preaching to a primarily Jewish audience. There is some real receptivity to the message, and we read of great miracles and mass conversions that take place. There are three thousand new believers in Acts 2:41, and the number has climbed upwards of five thousand by the time we get to Acts 4:4. This isn’t the first time in the Bible that we read about a conflict between someone who has some measure of earthly power or prestige and someone who has been given a charge or a story to tell. The scriptures are full of accounts that describe what happens when someone who is commissioned to tell of God’s new thing is forced to deal with the status quo. And here’s a tip: in the Bible, whenever there’s a choice between someone who has a title and someone who carries a testimony – always bet on the testimony. Last week, we had the privilege of hearing Tony Campolo preach. A long time ago, Tony taught me that Pharaoh had all of the prestige and the power. He carried the title. But Moses had the testimony and the presence of the Lord. Ahab, Nebuchadnezzar, and Xerxes had titles. But Elijah, Daniel, and Esther had the testimonies. Pontius Pilate, according to those in the know, had all of the best titles. But Jesus had the real power, didn’t he? And now, once again, we see the powerful and the titled seeking to limit the presence and authority of those whom God has sent. If you have any familiarity with the way that the Bible is written, you know who is going to come out ahead in this exchange: God makes a way for those who testify to what he is doing. But how do you get a testimony? How does one go about obtaining that kind of authority? It seems to me that the church in Jerusalem teaches us two things about living into that kind of faith. In verse 20, we read that Peter and John stood up to the authorities by saying, “Look, we’ve got to obey God, not other humans.” As they say this, we are given a glimpse into a fascinating pattern in the book of Acts regarding the relationship between God’s words and human response. Throughout this book, there is a strong correlation between God’s moving into the community and God’s speaking truth and then the apostles and other faithful believers pointing to that truth with their actions. We see in this episode the imperative of knowing God’s word – of studying scripture and digesting it, of savoring it, of understanding what the intentions of God are in the world – so that when it is time for action, the church is not groping blindly, but rather doing exactly what God would have us do. And the only way that we can know what we ought to do is to be alive with the Word that is from God. 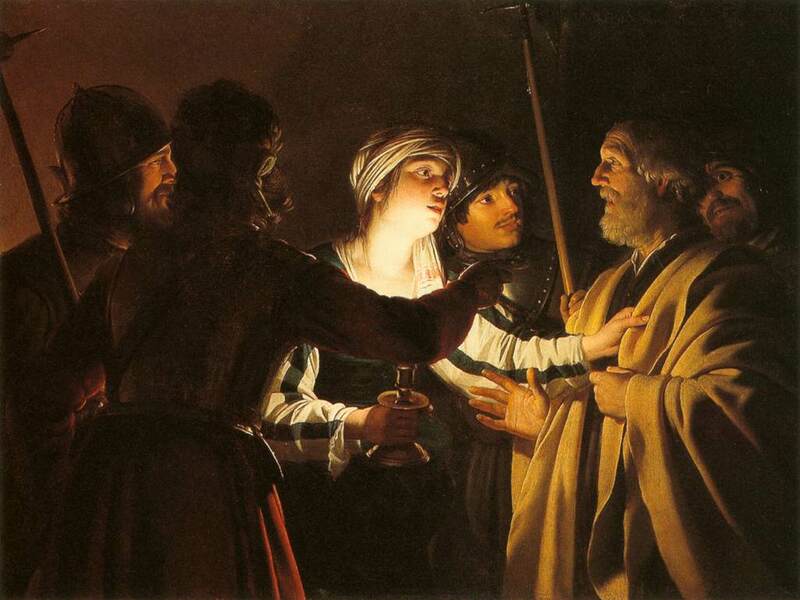 As the church moves in Jerusalem, it is a church characterized by obedience – even when that kind of obedience winds up costing the church something, as it clearly does when Peter and John wind up in prison. And when that kind of trouble comes to Peter and John, I’m fascinated by their response. 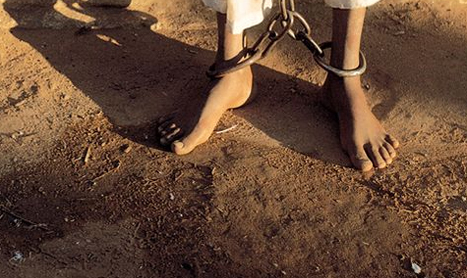 If you or I were to be arrested or taken away, I think that I would join the early church and pray. But I confess that my prayers would not sound like those we read a few moments ago. I think that I’d be praying for safety or for deliverance or for protection. I’d ask God to guard you and make sure that nothing bad happens to you. But that’s not how the Jerusalem church prays, is it? The prayer of the earliest church is, “Lord, make us bold.” Help us to do that which is right – even when it scares us. 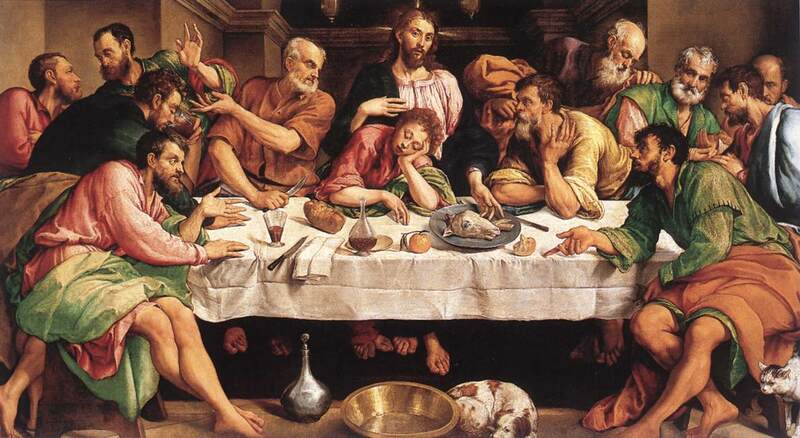 Can you imagine the disciples – even at the Last Supper – praying a prayer like that? But somehow, the power of the resurrection was such that it changed these men and women into a cohesive group with a common testimony – that Jesus Christ is lord, to the glory of God the Father. Can you imagine me or you praying a prayer like that? How can we grow from mildly interested, sort-of-religious people who don’t mind getting up early on Sundays as long as there’s free coffee and the knucklehead up front lets us sing at least some of the music we really like into a body of believers who boldly proclaim the Good News of Jesus Christ in acts of healing, love, sacrifice, and joy? I mean, that’s an amazing transformation, isn’t it? Or wouldn’t it be? 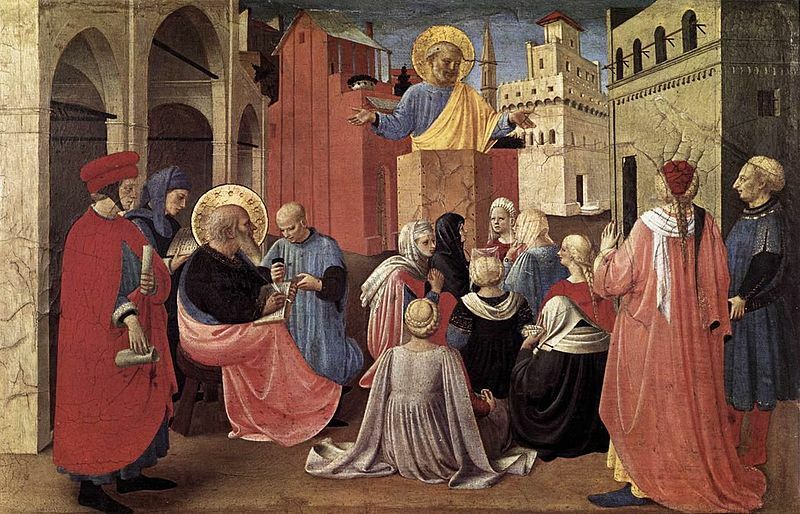 Is it possible for us to grow from being disciples to being apostles? It is, if today we are attentive to the places where God is speaking. If we are willing to dive into the scripture and ask God to help us interpret it truly and rightly. If we are willing to sit with our sisters and brothers and hear from them what they think the Bible might be saying, and be willing to share a word as to what we think God is up to. 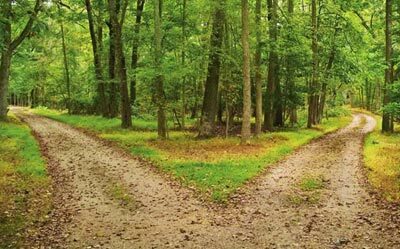 And we might grow into apostles if we are willing to ask for boldness to walk in God’s ways – and then to set our directions and go in those ways. For some of us, that might mean standing up for someone who is being bullied; it might mean drawing attention to an injustice that needs to be corrected; it might mean that we commit ourselves to providing some resources that others may need to experience God’s best in their lives. Those are frightening steps for some of us, but ones to which we may be called. For others, though, it may be that there are some bold steps that need to be taken that will cause us pain or discomfort. Perhaps you are in a relationship that is toxic to you, but you can’t bring yourself to end or change it. Maybe you need to come out from behind a lie, or own up to something in your life that is not right, and ask God (and each other) to help make things different. Maybe you need to be bold to ask God to help you do what you feel you cannot do – and cannot even desire doing – on your own. In either case, there’s a warning to be found here. When Peter, John, and the Jerusalem church practiced obedience and boldness in their faith, they were not transformed into superheroes or celebrities. They were still “ordinary, uneducated men”. But because they were willing to act with such bold obedience, the world around them saw God better. The scenery is different, and the characters have changed. But the plot remains the same, my friends. Let’s do a spin-off right here – let’s move First Church, Crafton Heights, from a church full of disciples to one populated with apostles. Let us commit to walking obediently and praying with boldness to the end that we might be given the opportunity to testify to what God desires in his people and his world. Thanks be to God! Amen. What does it mean when Jesus says, “I am the vine?” Or that we are the branches? 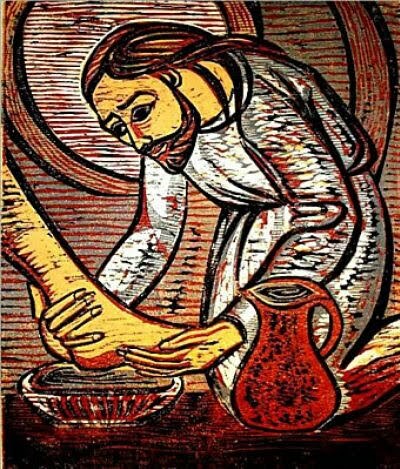 Some thoughts on the occasion of Maundy Thursday 2014. The text was John 15. For the past few weeks, we’ve been listening to Jesus preach. And in his preaching, he’s made a number of statements that begin with the words, “I am…” And always, the formula for Jesus’ sermons has been, “I am the …” and then he would name the thing. I am the bread of life, the gate, the light of the world, etc. For the first time, Jesus explicitly states what we are. He uses a metaphor to describe, not just himself, but us as well. And it seems to me that this description is really the culmination of all of the other “I am” statements that we’ve heard. Because Jesus is the savior, the bread of life, the light of the world, the Door, the Good Shepherd – because he is all of those things in our lives, we are then free to relate with him the way that a branch relates to a vine. Because of all that Jesus is and does, we are free to participate with him in an intimate, organic, relationship. Think about it. In the last few weeks, we’ve heard Jesus call himself a lot of things. Usually, we understand those things, at least in part, by what they are not. I am the light (not the darkness). I am the bread of life (not something that will not last). I am the way (not a maze in which you get lost). I am the good shepherd (not the hired hand). And sometimes, when he uses a metaphor to describe himself, we learn something about ourselves, too. If he is the good shepherd, then obviously that implies that we are sheep. Unless you are profoundly vision, hearing, and smelling-impaired, there’s not much challenge in telling the two apart. Shepherd – sheep. You know which one is which, right? But the Vine and the Branches? That’s a bit tougher, isn’t it? Next time you’re at my house, stop into the back yard and look at my kiwi plants. If you go right to the ground, you can see clearly – that large brown thing – vine. No problem. And if you go to the other end, wispy leafy thing – branch. No problem. But in the middle, it’s pretty tough to tell one from the other. Where does the vine stop and the branch begin? Oooooh, I get it, Pastor Dave! Our relationship with Jesus is designed to be so close that we are totally immersed in Him. We grow into him… or does he grow into us? I don’t really know…Some days it’s kind of hard to tell. And if we’re honest about it, that’s what we want. We want to have that intimacy – that sense of knowing and being known. I might say that it’s a sort of spiritual security blanket – the sense that Jesus is right here with me and nothing’s going to happen. That is a good thing to desire, and a great thing when it happens. But it’s not the point. Jesus never talks about intimacy with God as something to be desired in and of itself. This connection between the vine and the branch is not the end – it’s a means. A means to what? To the fruit that is supposed to be growing at the end of the branches. It’s very possible that you have come into worship in the previous weeks and gotten the impression that you were created to be in a life-changing, joy-filled relationship with Jesus. It’s possible that you’ve gotten that impression because that’s what I’ve said. However, we need to be clear about the fact that the joy-filled relationship where you feel fed and nurtured and forgiven and shepherded is not an end in itself, but rather the means by which God intends to use you to shape the world according to his purposes for it. Or, to put it another way, that intimate, organic relationship with God for which you were created is incomplete until it bears fruit. There is an expectation clearly set forth in John 15 that if we allow ourselves to relate to Jesus in the way that he intends for us, then things will happen. Jesus is the vine. He promises that he will give us everything necessary to produce fruit. And he promises that he will come looking for fruit in our lives. How does the plant go from being fruitless to bearing not only fruit, but much fruit that will last? It is tended and cared for. It is pruned. Most fruit-bearing trees and vines have two prunings. In the dormant season, the gardener removes all of the branches that are obviously dead. 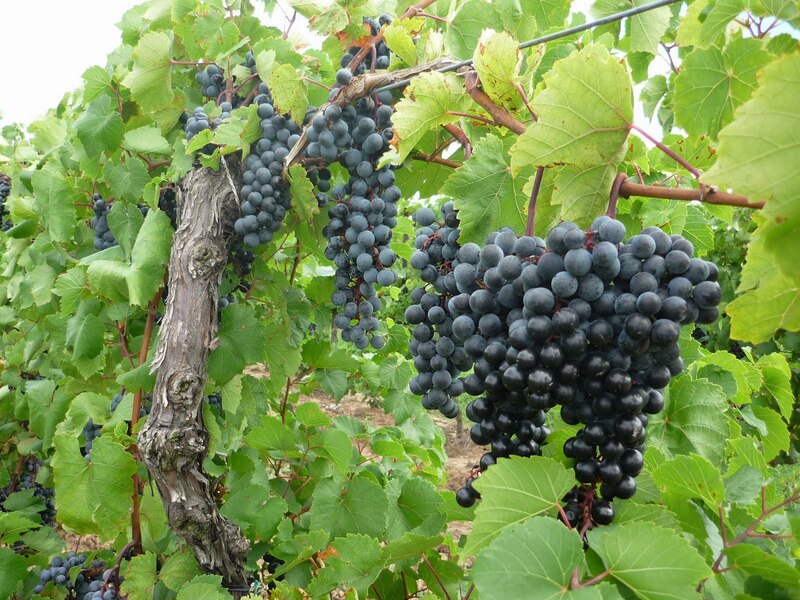 John 15:2 says that the vinegrower takes away every branch that does not bear fruit. Literally and metaphorically, this is a pain in the neck, but it’s not so hard to wrap your head around. I walk out to my garden, and I see some dead raspberry canes or a rotten limb on the apple tree, and it’s fairly painless to whack it off. I know it has to be done. In my life, where I see rot developing, where I sense hatred growing, where I am made aware of an evil that threatens my life, my joy, my purpose – then I can ask God to take that away. Oh, sometimes I experience it as a loss, but it’s not too bad. I generally come away thinking, “well, that just had to happen.” It makes sense, somehow, even if it doesn’t always feel good. 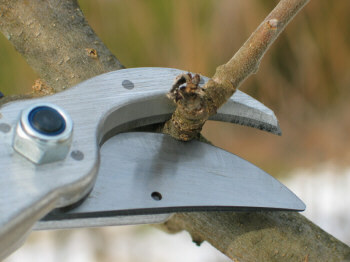 But there’s a second pruning that takes place during the growing season. If I’m on my mark as a gardener, once those branches have set some fruit, I have to go out and thin the plant, and remove shoots that are clearly living, but have no fruit on them. I do this because I didn’t plant my cherry tree to grow wood – I planted that cherry tree because I would like to see cherries in my pantry and freezer. If I remove those branches, the tree can put its energy into growing bigger cherries – and less wood. And in my garden and in my life, I don’t like that pruning. I don’t like to cut into the pretty greenery. It’s hard to rearrange the shape of the tree. And even though a particular branch may be fruitless, I may get some measure of satisfaction, or shade, or beauty from that greenery. But if my goal is fruit, it’s got to go. This Maundy Thursday evening ask God, and ask yourself: is there some secret attraction, some trivial pursuit, some fruitless distraction that ought to be removed from your life? Maybe it’s obvious. Maybe there is an addiction that you know is killing you; an unhealthy relationship that consumes you. Sometimes the dead wood is easy to spot. 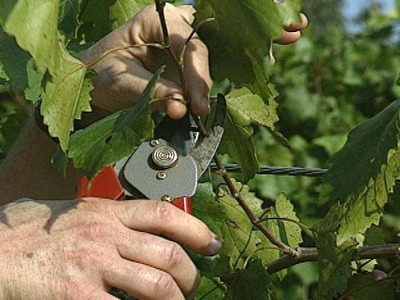 But my hunch is that for many of us in the room this evening, the second pruning is what needs to occur. There is something that looks healthy and alive, but is simply not fruitful for us. It may be a behavior that is rewarded in some circles: a devotion to work that seems commendable to many, but then you realize that you haven’t known Sabbath rest in far too long. An awareness of your diet and need for fitness that makes you critical of other people to the point of cruelty. A practice of saving that is rooted, not in a biblical understanding of stewardship, but a deep fear that you do not now, and will never have “enough”. Ask for the grace to make you want the fruit more than you want this other growth. Ask God to show you how the fruit that he desires is better than the things that have held your interest or distracted you. And let’s talk for just a moment about that fruit. 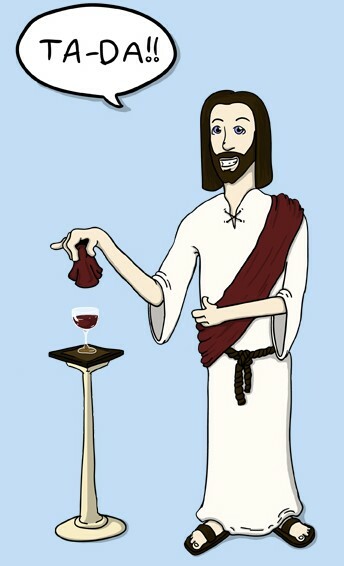 In John’s description of the Last Supper, it’s pretty clear what kind of fruit Jesus is talking about. Love. Love is the fruit that grows from a life rooted in the Father’s intentions and sustained by the Spirit’s care. Let me remind you that love is not warm and mushy feelings. Love is not being nice to the people who are nice to you. In fact, in John, there are two measurable criteria for the kind of love that Jesus says God is looking for. First, love means obeying God. And second, love means being willing to lay down your life for your friends. I’m pretty sure that could mean that if you love me, you’d be willing to take a bullet for me, or throw yourself on a grenade if one got flung into the room right now. But more probably, I suspect that kind of love means that you are willing to act for my good, even when it is inconvenient for you. That kind of love means that you are willing to help me grow into what is best for me, even if it costs you somehow. I would like to buy $3 worth of God, please, not enough to explode my soul or disturb my sleep, but just enough to equal a cup of warm milk or a snooze in the sunshine. I don’t want enough of Him to make me love a black man or pick beets with a migrant. I want ecstasy, not transformation; I want the warmth of the womb, not a new birth. I want a pound of the Eternal in a paper sack. I would like to buy $3 worth of God, please. Here is something that occurred to me this week. What is it that is between the vine and branches and the fruit? The blossom, right? The flower. Every branch, every vine, every plant in my yard that produces fruit does so by extending a blossom. And that blossom – every blossom – is a risk. I’ve got a little cherry tree in my back yard. I get nervous when it starts to blossom. I’m excited, because I can think about homemade jam and cherry pie. But I’m scared, because what will happen if we have a freeze? Even a really gusty day can blow the blossoms off the tree. And if they freeze or fall off, then no matter how green the leaves, how deep the roots, how nicely the tree’s been pruned – there’s no fruit. The blossoms are a fragile risk that my cherry tree makes each spring. And if for some reason you need proof of the great gamble that spring blossoms are, then take a look at that very sad-looking, brown magnolia tree in our front yard – thousands of blossoms that were simply frozen on Tuesday evening. Tonight, we commemorate the ultimate risk. 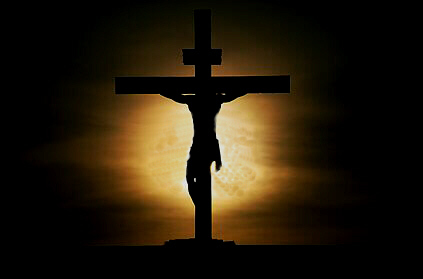 The sinless Son of God who loved his friends enough to lay down his life for them. 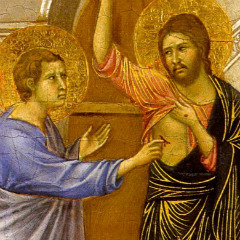 Including Thomas, who would later doubt that Jesus was who he said he was. Including Peter, who would later deny even having ever met Jesus. 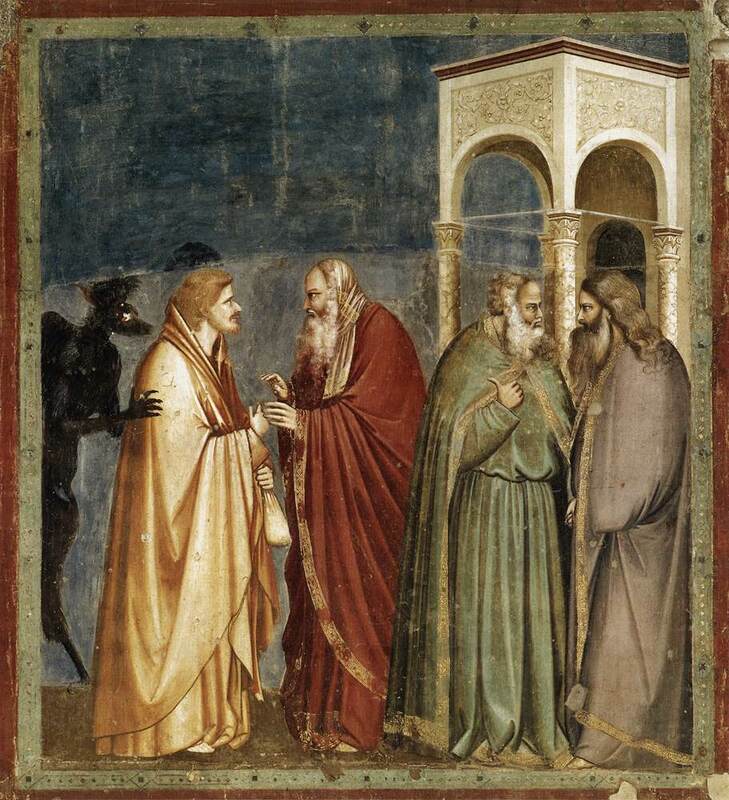 Including Judas, who had already sold Jesus out to the authorities and was arranging his arrest. Tonight, as we remember this risk, know that this Jesus knows you, calls to you, and loves you with this kind of love. He desires a deep and intimate relationship with you, as the vine has with the branch. And if you are not in that kind of relationship, then let me encourage you to walk towards that tonight – to ask Jesus to enter more fully in to your life and heart and purposes. And if you are in that kind of relationship with Jesus, then let me challenge you to grow in your ability to love with the kind of love that he seems to expect from us. I know that I am advising you toward a dangerous prayer – that I am asking you to pray for pruning and tending and shaping that could be inconvenient or painful. After all, look at what that kind of love got Jesus. But know, too, that you are not alone in this love, you are not alone on this vine, and you are not alone in this risk. It is why you exist. You came into being for love, and you are to dwell in and act in love. May God be gracious to us as we learn it…again and again and again. Thanks be to God. Amen. On Palm Sunday, the members of the Crafton Heights church continued to think about the times that Jesus said, “I Am…” in the Gospel of John. This week, we considered Psalm 118:19-29 and John 14:1-11. My thoughts in this message are deeply influence by Eugene Peterson’s work, The Jesus Way: A Conversation on the Ways That Jesus Is the Way. Survey time…I don’t know if you’ve ever been there, but let me ask – what’s the best way to get to Disney World in Florida? Driving? Flying? Take the train? What’s the best way to get to PNC Park for a Sunday afternoon game? Noblestown Road to the West End bridge? Or take the bus to the subway? Which way would you go? Or would you tell me to get out my spiffy new smart phone and say, “There’s an app for that, Dave”? When I ask you about “the way”, in our culture that usually means that I am enquiring about the route. 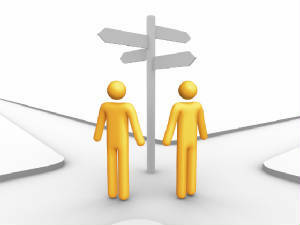 I want directions to be followed or steps to be taken so that I can arrive at the end goal quickly and reliably. “The way” is simply the means to the end. That humor points us to the reality that when we talk about “the way” we mean not only the fastest or most efficient route from A to B, but we mean the journey itself. When we stop to think about it, we realize that “the way” means the method, the path, the mode that we take as we move along from point to point. Way: a simple noun designating a road that leads to a destination, but then opening up as a metaphor that ramifies into many and various ‘ways’ – not only the way we go, as in the route we take, but the way we go on the way whether by foot or bike or automobile. The way we talk, the way we use our influence, the way we treat another, the way we raise our children, the way we read, the way we worship, the way we vote, the way we garden, the way we ski, the way we feel, the way we eat…And on and on, endlessly, the various and accumulated ‘ways and means’ that characterize our way of life. Because if we accept that “way” means only the quickest and most efficient route somewhere, then we might come to think of “truth” as meaning only a set of ideas I can accept and “life” as the opposite of death. None of that is wrong, of course, but it is very incomplete. In reality, Christians in North America appear to be better at accepting Jesus as the truth than we are at accepting that he is the way. It’s fairly easy to go to someone and say, “This is my set of ideas that I believe about Jesus. It is the truth. I used to believe this other stuff, but now I believe this. If you cannot believe what I believe, you do not have the truth. But how do we get the dinner or that dream job? What’s the way to that? Isn’t that the harder question? Jesus is the truth and the life, but first he is the way. He’s not merely an answer. 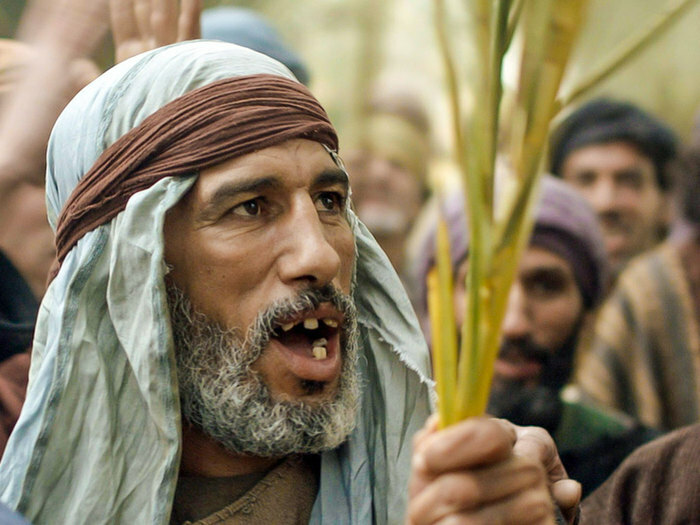 On the first Palm Sunday, if you were to poll the denizens of Jerusalem, asking “What do you want?”, you’d get an earful. “What do we want? We want to get rid of the Romans! We want to go back to the good old days of Kings David or Solomon!” The Gospels are pretty clear about the fact that much of the time, we are far more interested in a rearrangement of the external furniture than we are a realignment of our internal priorities and practices. Which might be at least one reason why Luke points out that after everyone went home on that first Palm Sunday, Jesus wept for the city of Jerusalem. He knew that then, and now, we just don’t get it. No. No he is not. Because if that is true – if the way that Jesus is “the way” is that Jesus is the means to our ends, then he’s nothing more than the Wizard of Oz hiding behind a curtain; he’s only a magic man doling out blessings and bonuses to those he likes best. But Pastor Dave, you’ve prayed for all of those things with us! And you said that Jesus is the way. I have. And he is. Jesus is the way. An since he is the way, we do with him what we do with the other ways in our lives – we follow that way. We live like him. Which means, I think, that if he was tested, misunderstood, taken advantage of, or ill-treated, then we should not be surprised when we find ourselves being tested, misunderstood, taken advantage of, or ill-treated. That appears to be the way. Did Jesus serve, tell the truth, forgive, and challenge others with the intensity of his love? Then we ought not to be shocked when he declares that servanthood, truthfulness, forgiveness, and extravagant love are cornerstones of the way of life to which we are called. If Jesus is the way, then we live like him. And we live with him. Following Jesus is not a skill that we acquire so that God will like us better. It’s not a reward that we get so that people can see how blessed we are. 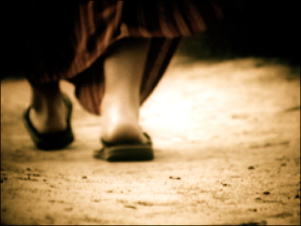 Following Jesus means taking a path through life that is characterized by love for God and others and worship of God. For about 1900 years, people who follow Jesus have been called “Christians”. Do you know what we were called in the decades immediately following his death and resurrection? Before we were called “church” or “Christians”, we were known as “the way”. Think about that. If you wanted to align yourself with the movement that Jesus started, you were not invited to “join a church” – to add your name or identity to an institution. You entered into the way. Your whole life took on a subtle, yet fundamental shift. You still had the same job, the same family, the same responsibilities…but the manner in which you performed those roles – your way – was different. On Palm Sunday, Jesus of Nazareth was a rock star. He was the one with whom everyone wanted to whip out their smartphones and take their “selfies”; the one on whom everyone was placing the burden of their expectations. On Thursday of that same week, he was branded a criminal. On Friday, he became a corpse. And in the years since, he has become the most written about, admired, celebrated, killed-for, sought-after man in history. You can’t go very far without finding someone who is saying something about Jesus. It’s just that he’s not very often followed. This week, I’m not asking you to go to Jesus. I’m saying that it’s important for us to go into the world with Jesus – to follow in and enter more deeply the Jesus way. This week, ask for grace and strength and resolve to follow where he leads each day, each circumstance, and in each relationship. I’m pretty sure that it looks more like a dirt road than a wide superhighway. But I’m pretty sure that it’s the right way. May we have the grace to follow in that way, because he is the Way. Thanks be to God for that. Amen. Jesus said, “I am the good shepherd.” You know, a lot of times, Jesus says stuff that makes total sense to us. But sometimes, he says things that seem to be totally removed from our experience. How much do you know about shepherding? As it turns out, I have some history in the field of livestock management. 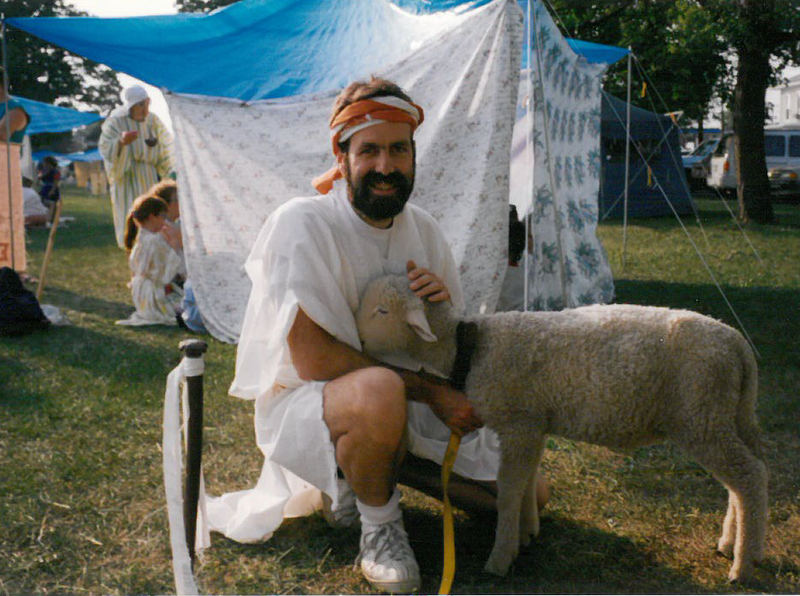 While I have never listed “shepherd” on my resume, it turns out that for a week about fifteen years ago, I was “the Goat Guy” at a Bible school that our youth group facilitated in Western New York. The reason I do not list this on my resume, though, is that I am not a very good shepherd. I was given some rope, one sheep and two very willful goats and I spent the better part of five days chasing these loud and smelly creatures through the little village they’d set up. It was not my finest moment. I didn’t know what I was doing. And that’s what sort of gets me about our scripture this morning. We’re walking through the sayings of Jesus in the Gospel of John, and we’re looking at the times and places where he says, “I am…” And mostly, when he says that, we have an image that we can deal with , don’t we? I am the bread of life… OK, I know bread, I’ve seen bread. I am the light, I am the door – we know about light and doors. But I am the good shepherd? What’s that about? How do we know if that’s a good thing? Let’s talk for a few moments about shepherds. Actually, since I’m pretty sure we don’t know that much about shepherds, I’ll start someplace where we’re on a little firmer ground. Jesus did not say, “I am the good cowboy”, did he? Think back to your Zane Grey novels or your John Wayne movies. What do cowboys do? Well, they get out there on their horses, and they drive the herd, right? They are hired to ride along beside and behind the herd of cows – someone else’s cows – pushing that herd where they want it to go. If the herd moves to slowly, then out comes the whip, right? One of the cows starts to stray, and what happens? 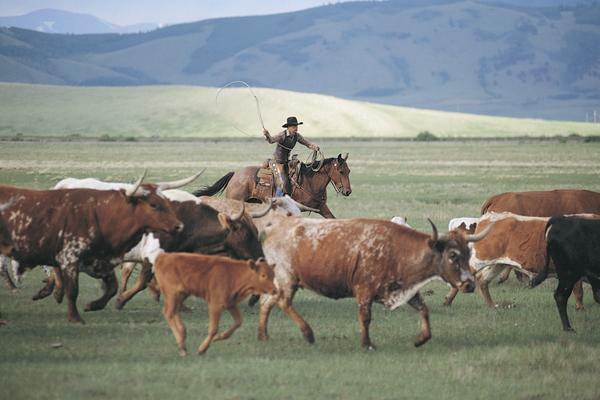 The rugged cowboy chases off after it, ropes it, ties it up, and brings it back to the herd. The goal of the cowboy is to chase someone else’s cows from one place to another, and at the end of the journey, the herd is slaughtered and the cowboy starts all over again. The cows are a means to an end, a job, a necessary evil, if you will. Shepherds, on the other hand, are different. 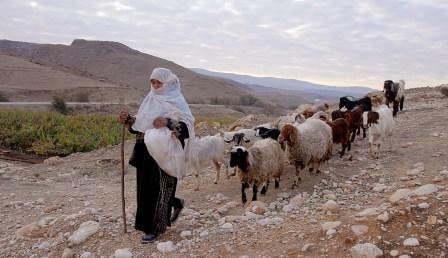 In the Middle East, when the shepherd wants to move his flock of sheep, he gets out in front of them and calls to them. They follow him. Since they belong to him, they know him, and he knows them. He protects them from predators, and if one goes astray, he leaves the flock where it is, collects the one that’s missing, and then they move on together. Whereas the herd of cows is a job for the cowboy, the flock of sheep is a way of life for the shepherd. The sheep provide wool to clothe his family and milk and meat to nourish his children. If a sheep wanders off, then that means that there are fewer lambs next year, less milk and meat and wool. It’s not an inconvenience, it’s a tragedy for a family to lose a sheep. Do you remember in the movies what happens when two groups of cowboys get to the watering hole at the same time? The herds of cattle both rush to the water. They mix together, there’s a lot of confusion, and days, or maybe weeks are lost trying to separate one herd from the other. Two groups of sheep can approach the same waterhole, and this is what happens – it’s a true story. Each shepherd brings his flock down close to the water, and then has them wait. The shepherds go and drink themselves, and maybe wash up. Then each shepherd calls his flock over and waters them. When they are finished, the shepherd simply calls his flock and they follow him, knowing that he will lead them to good pasture. Although we in the USA have glorified the image of the cowboy in many ways, and celebrate the independence and the ruggedness that cowboys typify, the scriptures refer to the Lord as being a shepherd. Ezekiel 34 describes in detail God’s promise to be the shepherd for his people. He talks about the fact that those he has sent to take care of the flocks have failed – that they’ve looked after their own needs, and sought their own gain at the expense of the flock. Because the leadership failed, the flocks scattered, and many of the sheep became lost, ill, or disoriented. But there is a time coming, says the Lord, when he himself will lead, care for, and protect the flock that has become weak and lost. In the last few weeks, friends, we’ve heard challenges from the Word. 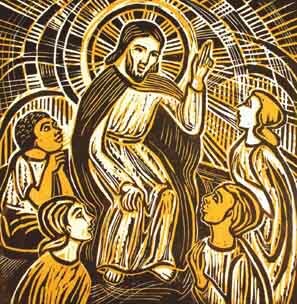 If Jesus is the bread of life, then we are called to receive the nourishment from that bread and go out and tell our story – to invite our friends to know that there is a place where they can receive that which has sustained us. If Jesus is the light, then we are to walk into that light and let it expose us so that we can correct what is wrong and move further into what is right. If Jesus is the door, then we are to walk through that door into lives of mission and service. The “I am” statements of Jesus can be significant challenges to us, as we not only listen to their truth, but act on that truth in our world. This week, as I studied Jesus’ claim to be the good shepherd, it occurred to me that this is the “I am” statement that may release us to live into the other statements more fully. Because here’s the deal, beloved: if Jesus is truly the good shepherd, then there are at least three things that are true in your life and in mine. First, there is a shepherd who knows your name. And remember, in this culture, knowing your name means knowing you. The fact that Jesus is my shepherd means more than the fact that he will never, ever, call me Dave Carter. Or Don Caver. Or … well, you get the idea. Jesus knows my name. He knows who I am. In so many ways, he knows me better than I know myself. Jesus knows your name. He knows what you’re capable of. He knows what you can do. When Jesus calls your name, he’s not some cowboy cracking the whip, wondering why in the world you aren’t moving any faster and angry that you’re somehow slowing up the rest of the group. No, when the Good Shepherd calls your name, he is speaking to the full reality and totality of your existence. Someone knows your name. The shepherd not only knows your name, but knows your needs. As you move from one day after another, one task to the next, the one who has called you knows what you need to move forward. A good shepherd knows where to find nourishment for his flock. He knows where the clean water is. He knows when the flock needs to rest, and when they must move further to escape harm’s way. There is not a hole in your life that Jesus doesn’t know about. There is not a need that you have of which the Good Shepherd is ignorant. He knows what you need. And this Shepherd who knows your name and who knows your needs is where? Ahead of you. The good shepherd is leading his flock. Which means that there is no place that you will ever be – no place that you can ever be – where Jesus hasn’t been there ahead of you. Think about the gift that that is for us – there is nowhere we can be that is apart from his care and presence. So far, so good, right? Who wouldn’t want to be known, cared for, and accompanied by the Good Shepherd? But then comes the part that had me confused for the better part of the week. Jesus says that the Good Shepherd lays down his life on behalf of his sheep. Now, I don’t know everything there is to know about shepherding, but it seems to me that there’s a flaw in this logic. If the shepherd is protecting the sheep, that’s great. But if the shepherd puts himself in a position to get killed by whoever or whatever is attacking the sheep, then what’s to keep the sheep safe after the shepherd dies? I mean, wouldn’t it be better for the flock to lose a few sheep to whatever marauder is out there than for the shepherd to die and leave the whole flock exposed? Think about it: in what circumstance would it be a good idea for the shepherd to sacrifice himself on behalf of the sheep? If a shepherd were to get himself killed AND lose the flock besides, there’s no good in it, is there? It seems to me that the only way that it would make sense for the shepherd to lay down his life for the sheep is if the threat to the sheep becomes neutralized by the shepherd’s death. If somehow in the act of dying, he is able to secure the flock and get them to safety, then the shepherd’s sacrifice makes sense. That is the promise of today’s scripture, my friends. That is the good news of the gospel. What do you think of when you think of San Francisco? I know you’ve seen pictures on TV or in the movies of the Golden Gate Bridge. Isn’t that the symbol of that city? It is huge, isn’t it? It’s –1.7 miles long, and 746 feet high. It was begun in 1933 and completed in 1937- but did you know that it was done in two stages? The first stage got off to a good start, but then the work moved slower and slower. Eventually, the project came to a standstill. Do you know why? Because when they first started working on the bridge, the rule of thumb was that there would be one worker fatality for every million dollars of construction – and it was a $35 million project. 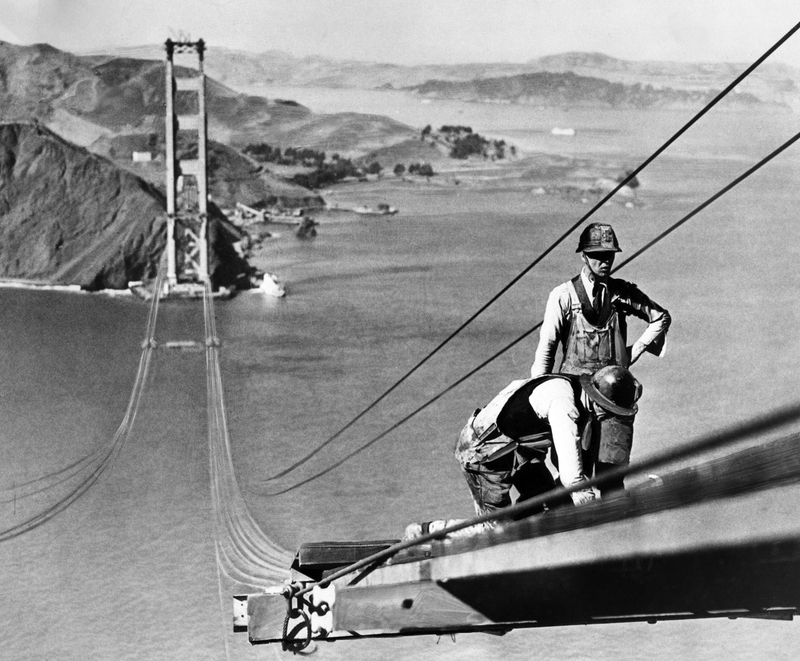 As those men were high above the earth, working on cables or iron or whatever, they would look down and see the Bay, and they would think about the expectation – that many of them would die during construction. Some men became paralyzed with fear. Nothing was getting accomplished. It looked as though it might never get finished. Then someone got a bright idea: maybe there should be a net. So they put together, for the cost of $130,000, the largest net ever made. 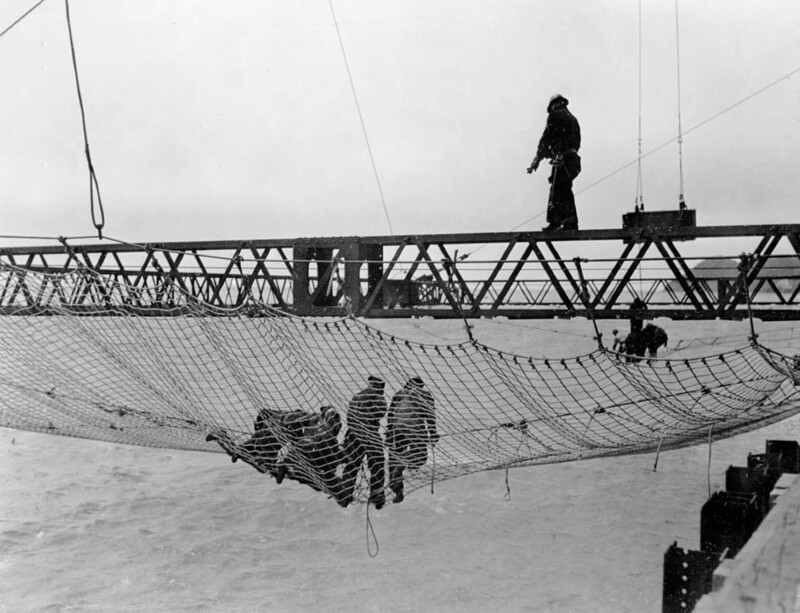 And when that net was hung below the bridge, work started again. And when the second stage of construction began, men fell off the bridge. 19 men were saved because of that net. Was it scary when they fell? I imagine that it was. Did they lose their tools when they fell? Sure they did. Did they lose their glasses, or their watches, or their lunches? Of course. But they did not lose their lives. And the work on stage two went 25% faster than it had on stage one – because workmen were not in fear for their lives, and so were free to work on the bridge. In fact, a couple of men were so enthralled with the netting that they had to be disciplined for jumping into it voluntarily! Jesus said, “I am the good shepherd who lays down his life for the sheep.” That’s saying something about him, to be sure. But it is also saying something about us. Because we have a shepherd, we can be sure that God knows our names, knows our needs, and walks ahead of us. But more than that, we can be sure that our ultimate safety is assured. Because Jesus laid down his life for us, we who follow his call can be sure that our hope is eternal – that there is no power on earth that can separate us from God’s purposes for us in Jesus Christ. Our world is full of cowboys – loners who don’t take any guff from anyone else, who do a job and bring the herd into town on time, and are willing to live a rough and solitary existence cracking the whip over those around them. And our world is full of posers – folks who, like the “goat guy” that I was twenty years ago, willing to dress up and wander around pretending to know more than they really do, but not getting anything of substance done. But today, I’m glad to say that I’ve found the shepherd – or, to be more accurate – I’m glad the shepherd found me. And I’m not leaving, because he has what I need – and in the strength of his presence and protection, I can do anything he wants me to do. Amen. See http://www.preachingtoday.com/illustrations/2006/february/5060213.html, http://www.pbs.org/wgbh/americanexperience/features/timeline/goldengate/, or http://www.pbs.org/wgbh/americanexperience/features/general-article/goldengate-safety/ for more information.